You’re exploring how to leave your legal practice and find an alternative career, but you are very likely hindered some blockers or obstacles or other issues. Through all of the work we’ve done in helping people to leave the law, there are two main limiting beliefs likely getting in your way. I shot the below short video to help you identify, unpack and overcome these two main beliefs that prevent unhappy attorneys like you from leaving the law and finding an alternative career. I provide real life tips in this video to overcome these limiting beliefs, and discuss a real life story of how, even in the face of these fears, a Leave Law Behind Program member recently, successfully left the law. Unhappy attorneys looking to leave the law often feel that there are not many non law, alternative jobs out there for attorneys. 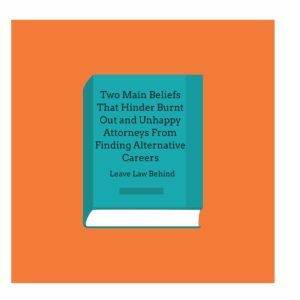 We lawyers looking to leave our law practice hold onto this belief that there is just a finite amount of alternative jobs and alternative careers out there for us. There’s a second, limiting belief we have which is that I, an attorney who wants to leave my legal practice, really can’t do much beyond legal of work. We feel that we do not have transferable skills, we wonder how will any hiring manager hire us, we think we really don’t have the skills and strengths to fit a non-law, alternative job. 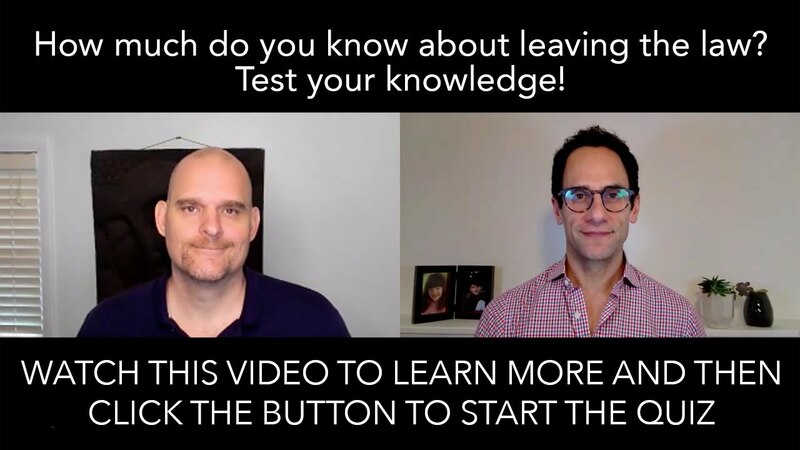 I provide real life tips in this video to overcome these limiting beliefs, and how, even in the face of these fears, a Leave Law Behind Program member recently, successfully left the law. If you haven’t done so already, if you want help or to learn more about how to shift your mindset, please enter your name and email on the box on this page or go to https://leavelawbehind.com to download our free e-book “Your Path Out” and a special free video mentoring series. And if you’re ready to leave the law now, join us in the Leave Law Behind Career Coaching Program. Go to https://leavelawbehind.com/dream-career to learn more and sign up. Subscribe to our YouTube Channel or join us in Facebook, Twitter or LinkedIn. Hi, Casey Berman, founder of Leave Law Behind and I’m so happy to have you here. In this video, I want to talk about something that is extremely important to us unhappy attorneys looking for alternative careers and to leave the law. Now, what I’m going to talk about today is extremely important; it controls about pretty much every aspect of our life. But, we may not even know it’s around. It may be totally invisible to us … and what I’m talking about are our beliefs. That’s right. What we believe, what we think … which then affects and impacts how we act and what we do. Now some beliefs that we have are very beneficial for us. It could be “Do unto others” or “Clean up litter” or “We’re all in this earth together” or “We’re all one.” There are a lot of beliefs that we have that help us, serve us well and serve our friends and family in the world. There are a lot of beliefs, though, that we have that might be really ingrained in us attorneys who are unhappy practicing that are beliefs that really don’t help us. There are a lot of beliefs we have that control us and, unfortunately, we’re programmed by beliefs from growing up, from school, and from law school that make us act and think a certain way, but really are not in alignment with who we are. They’re really not that good for us. Now, when you’re thinking about leaving the law, which is what I think you want to do because you’re watching this video right now, there are two main beliefs that really get in the way of us leaving the law for our dream career. Now, the first one is that there are not many non-law alternative jobs out there. We have this belief that there just a finite amount of alternative jobs, alternative careers out there. There’s a second belief we have which is that I, an attorney, who wants to leave law – I really can’t do much beyond legal work, I don’t have transferable skills … how will any hiring manager hire me? I really don’t have the skills and strengths to fit a non-law alternative job. Now, I’m here to tell you that those are just beliefs, those are just fears that you have. They’re really just figments that we have created that get in the way and prevent us from leaving our legal practice behind for the type of life and profession that we really deserve, and that we really add value. Now, let me tell you the story about a Leave Law Behind Program member. This is someone who went through the Leave Law Behind Online Career Coaching Program, recently left big law firm in Washington DC, that’s right! Left big law for an online start up … an educational startup, very successful startup that’s growing and growing. They help people learn, they help people build their own online courses. Really dynamic disruptive startup. And she applied for a job and actually got rejected. Didn’t get the job, but she impressed the CFO of this company so much – impressed this team so much – that they created a job for her! They said, “You know we don’t want to let her go. She’s not a fit for job A, but she’s definitely a fit for another type of job here.” And it turns out job B is a project manager and system analyst at this company. She’s hired, she’s left big law, and she’s thriving in this new role. So, I want to tell you this story about this Leave Law Behind Program member who actually left law because she created her own job. I want you to hear that. I really want that to sink in. This Leave Law Behind Program Member, a former attorney, just like you, who’s just hating her antitrust work in big law. She “co-created” her own job, she showed how her skills were transferable, she shined in this interview, she knew the company inside out, she had done her research. And she also had done so much work on what we call her Unique Genius: The skills and strengths that she has, she was able to manage project, she was able to herd the cats, meet deadlines, write persuasively, and on and on and on. So many things that you do right now as a lawyer. And she was able to show how these legal skills were actually transferable into this alternative career, and she got the job and is thriving there now. So, I want to make this very clear, that these beliefs that get in the way, and two of the main ones are: There’s only a finite number of non-law jobs out there, and if I were to find a non-law job that I liked, I wouldn’t be able to express and show my skills are transferable … I wouldn’t be able to do it. There are many many more beliefs that are out there that are positive, that help you. Now, if you want help or to learn more about how to shift your mindset, click the link at leavelawbehind.com. Again, that’s leavelawbehind.com. Click the link and you can get a free eBook that I and my business partner, former attorney, Adam Ouellette just wrote. It’s called “Your Path Out“. And we talked about uncover and demystify all the challenges that will get in the way of you leaving the law. It is a fantastic resource! Click the link below, get that free eBook. And guess what? There’s a special gift, you’ll get a free video mentoring series. That’s right! Career coaching delivered to your inbox. Myself and Adam, we put these phenomenal videos together that are worth hundreds of dollars. We’re giving them to you for free as a special gift for joining the Leave Law Behind community. 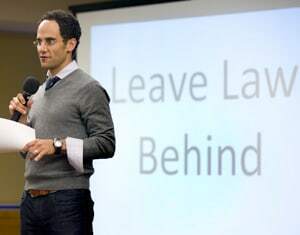 I’m Casey Berman, founder of Leave Law Behind, a former attorney myself. 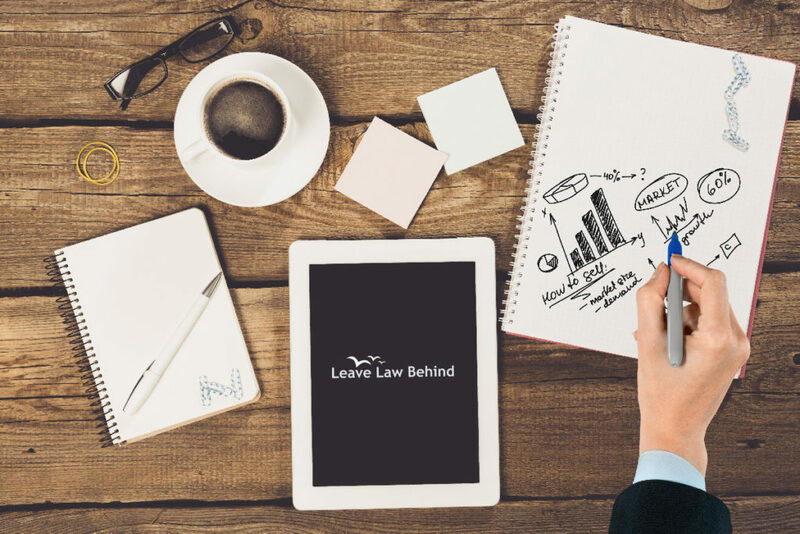 Click the link below and go to leavelawbehind.com and join us, and Leave Law Behind community. Free resources to help you take those next steps to your dream career. Thank you.